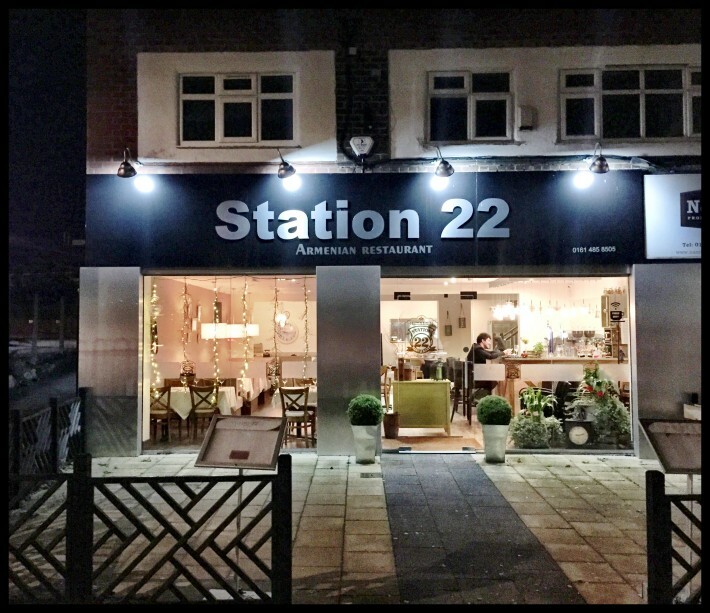 Station 22 in Cheadle Hulme has been on my list for so long, I can’t remember how I found out about it. After an exhausting bank holiday weekend of bike rides and decorating, the boy and I decided to treat ourselves to a meal on Tuesday night. 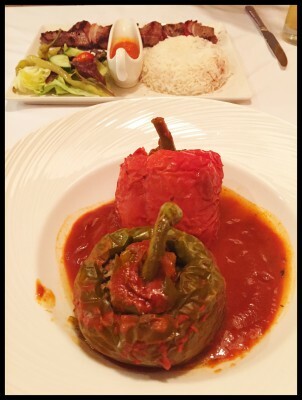 The Armenian restaurant reviews well on Trip Advisor. Its location in Cheadle Hulme makes it a car journey for us so I followed the advice and called ahead to make sure they could fit us in. When they didn’t ask for my name, I’d already figured out it would be pretty quiet. That turned out to be an understatement. We were the only people in the restaurant, which I always find a little awkward. The waiter amused me by asking if we had a reservation, although he must have known that no-one else had booked in for the evening. Maybe he was trying to figure out if it was me who rang, or whether they were shaping up for a busier night than expected. 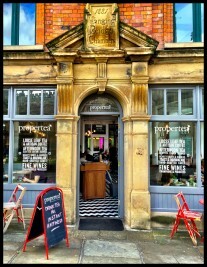 Despite the initial awkwardness, the service was excellent. We had plenty of space to make our selections and help when we needed it. I’ve not tried Armenian food before but the menu looked similar to the Middle Eastern food at Aladdin’s in Withington, with lots of aubergine, lamb, houmous, pittas and halloumi. 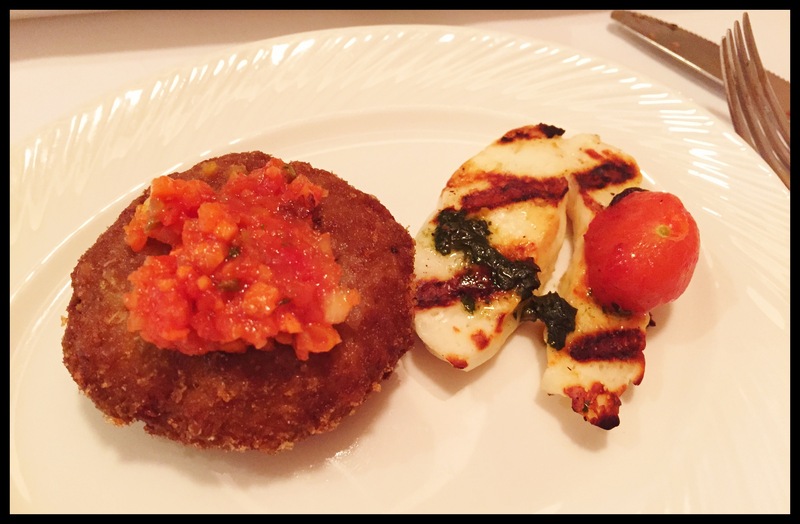 Wanting to try something a little different we decided to share the Armenian Hash Browns to start, and a plate of halloumi for good measure. The hash browns were nothing like you get on the side of a full English. They were made from minced beef and onions, shaped in to patties, coated in breadcrumbs and fried. They were really tasty, served with a sort of tomato salsa. The halloumi was also good, but unless it’s over cooked, it usually is. 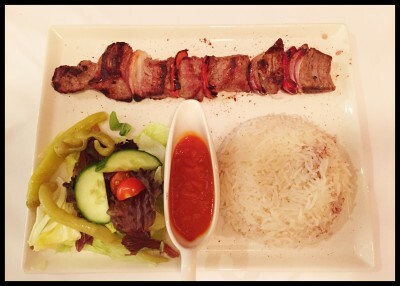 For main course the boy ordered a Shish Kebab, served with rice and salad. It was presented attractively on the plate and cooked well, but it lacked any defining flavour. 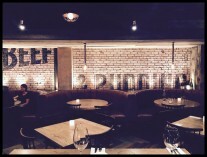 His verdict on the food was that it was nothing special, and he left feeling peckish. 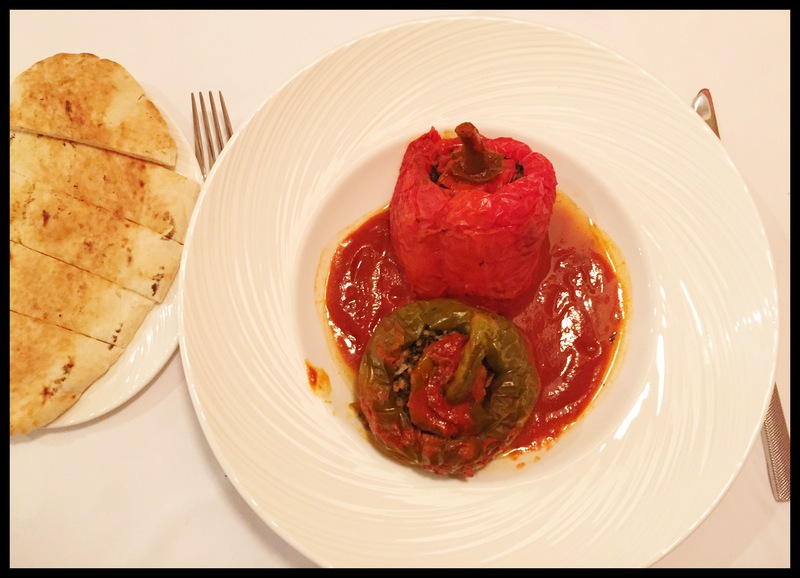 I opted for the Dolma, which was peppers stuffed with mince and rice, served with tomato sauce and pitta. 2 large peppers made the dish filling but I would have liked more variation in the flavour. About half way through, I wished there was something else on the plate. I couldn’t manage a dessert and the boy was uninspired by the food, so we didn’t sample any Armenian sweet treats. Almost £15.00 for the main course was, in my view, a bit steep for a meal that lacked inspiration. 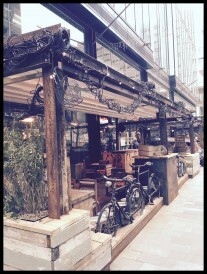 With more diners to create a lively atmosphere, I imagine it would be a nice place to go at the weekend. If it was on my doorstep I might go back, but for the drive, the price, and food that wasn’t memorable, I don’t think I’ll bother. Note: I’ve not included a link to Station 22 website, which is currently offline.